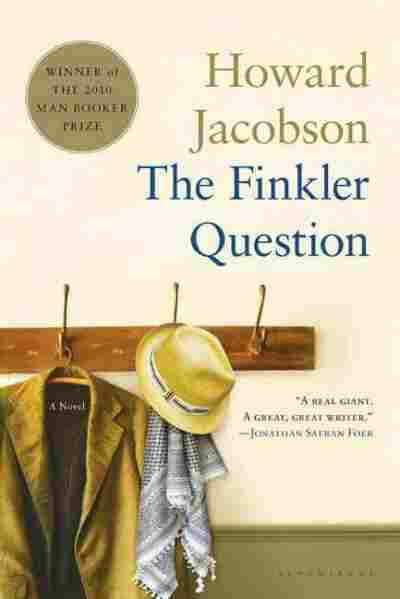 'Finkler' Questions The Meaning Of Jewishness The hero of this year's Booker Prize winner, The Finkler Question, is a non-Jew fascinated by Jewishness. 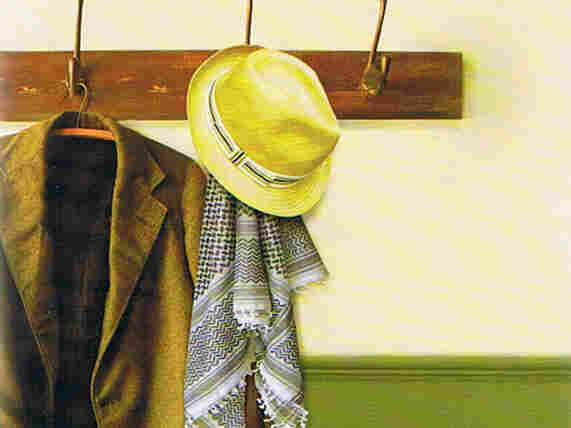 For writer David Sax, these efforts to simulate Judaism — to take on a persona outside of one's own — offer a broader commentary on human experience. In 2002, during my final semester of university, I went to the Caribbean on spring break. Settling into my seat on the airplane, the girl next to me introduced herself. Her name was Nalah, she proudly proclaimed, and she was Palestinian. "What's your background, David?" There it was. The question. Who, or what, was I really? She knew I was Jewish. I knew she knew I was Jewish, but I was going to do everything in my power to avoid that answer. This was during the peak of the second Palestinian intifada, a time of suicide bombings and army airstrikes, and I'd seen enough shouting matches on campus that year to know I didn't want to be accused of war crimes in the cramped seat of a 737. "My family's from Eastern Europe," I told her, and when she prodded for more, I countered with "Romania, Lithuania, who knows, it was a long time ago." After a few minutes of ducking and weaving she saw I wasn't going to play the game, and we both turned to the in-flight movie. Thankfully it wasn't Munich. What does it mean to be Jewish? To some it means sitting down at Katz's delicatessen with a pastrami sandwich. To others, it's setting up a hilltop outpost in the West Bank and waiting for the messiah. 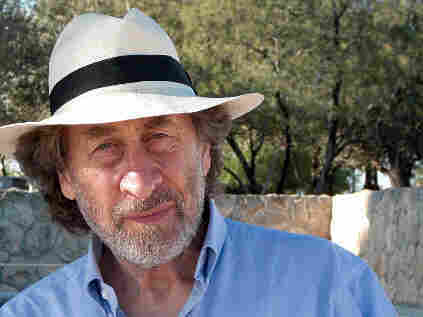 That essential uncertainty, pondered by everyone from rabbis and philosophers to Shakespeare and Sammy Davis Jr., is what Howard Jacobson tackles head on in The Finkler Question. The story revolves around Julian Treslove, a melancholy, lackluster London liberal. After Treslove is mugged one night, he believes, with increasing certainty, that his attacker called him a Jew. Though his best friends are Jewish, Treslove is not. Or at least he's fairly certain he isn't. But as a result of the incident, he becomes increasingly obsessed with the question of Jewishness. Treslove doesn't approach his journey into Judaism from a religious standpoint. He takes no steps to learn Hebrew or convert. Instead, his obsession is cultural. He wishes to understand the mannerisms of Jewish life; the hidden code of Jewish sarcasm and the subtleties of Jewish body language. As Treslove yearns to pass as a Jew, many of his Jewish contemporaries in the book do their best to pass as gentiles, including one pitiful character who spends his waking hours trying to reverse his circumcision, chronicling his efforts on a blog, photos and all. Jacobson isn't the first writer to delve into the question of Jewish identity, and he surely won't be the last. But he is definitely one of the most fearless. Over much of the past three decades, he has established himself as the literary voice of the Jewish community in Britain; a country where Jews are a much smaller and less assimilated minority compared with America, and where the specter of anti-Semitism makes many British Jews wary of drawing attention to themselves. 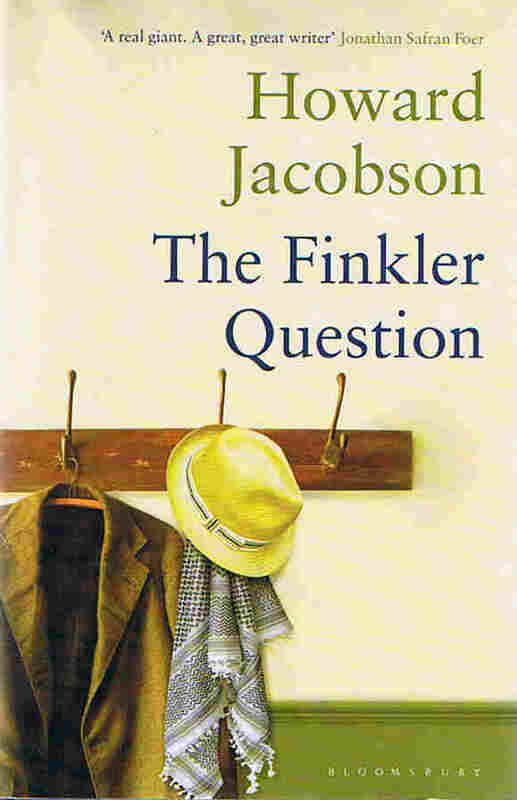 But Jacobson is unabashedly proud of being labeled a Jewish writer, and The Finkler Question tackles an uncomfortable issue with satire that is so biting, so pointed, that it pulls you along for 300 pages and leaves a battlefield of sacred cows in its wake. The book's appeal to Jewish readers is obvious, but like all great Jewish art -- the paintings of Marc Chagall, the books of Saul Bellow, the films of Woody Allen -- it is Jacobson's use of the Jewish experience to explain the greater human one that sets it apart. Who among us is so certain of our identity? Who hasn't been asked, "What's your background" and hesitated, even for a split second, to answer their inquisitor? Howard Jacobson's The Finkler Question forces us to ask that of ourselves, and that's why it's a must read, no matter what your background. David Sax is the author of the book Save the Deli: In Search of Perfect Pastrami, Crusty Rye, and the Heart of Jewish Delicatessen. You Must Read This is produced and edited by Ellen Silva. His life had been one mishap after another. So he should have been prepared for this one. He was a man who saw things coming. Not shadowy premonitions before and after sleep, but real and present dangers in the daylit world. Lamp posts and trees reared up at him, splintering his shins. Speeding cars lost control and rode on to the footpath leaving him lying in a pile of torn tissue and mangled bones. Sharp objects dropped from scaffolding and pierced his skull. Women worst of all. When a woman of the sort Julian Treslove found beautiful crossed his path it wasn’t his body that took the force but his mind. She shattered his calm. True, he had no calm, but she shattered whatever calm there was to look forward to in the future. She was the future. People who see what’s coming have faulty chronology, that is all. Treslove’s clocks were all wrong. He no sooner saw the woman than he saw the aftermath of her – his marriage proposal and her accept­ance, the home they would set up together, the drawn rich silk curtains leaking purple light, the bed sheets billowing like clouds, the wisp of aromatic smoke winding from the chimney – only for every wrack of it – its lattice of crimson roof tiles, its gables and dormer windows, his happiness, his future – to come crashing down on him in the moment of her walking past. She didn’t leave him for another man, or tell him she was sick of him and of their life together, she passed away in a perfected dream of tragic love – consumptive, wet-eyelashed, and as often as not singing her goodbyes to him in phrases borrowed from popular Italian opera. There was no child. Children spoilt the story. Between the rearing lamp posts and the falling masonry he would sometimes catch himself rehearsing his last words to her – also as often as not borrowed from the popular Italian operas – as though time had concertinaed, his heart had smashed, and she was dying even before he had met her. There was something exquisite to Treslove in the presentiment of a woman he loved expiring in his arms. On occasions he died in hers, but her dying in his was better. It was how he knew he was in love: no presentiment of her expiry, no proposal. That was the poetry of his life. In reality it had all been women accusing him of stifling their creativity and walking out on him. In reality there had even been children. But beyond the reality something beckoned. On a school holiday in Barcelona he paid a gypsy fortune-teller to read his hand. ‘I see a woman,’ she told him. She pronounced it ‘Huno’. But only when she remembered. Treslove closed one eye. Juno? Did he know a Juno? Did anyone know a Juno? No, sorry, no, he didn’t. But he knew a June. Treslove shook his head. But he liked the sound of it – Julian and Judith. Hulian and Hudith Treslove. ‘Well, she’s waiting for you, this Julie or Judith or Juno . . . I do still see a Juno.’ Treslove closed his other eye. Juno, Juno. ‘How long will she wait?’ he asked. He saw her rearing up at him, with a knife to his throat – Addio, mio bello, addio. ‘So should I avoid her?’ Treslove asked. She was beautiful herself. At least in Treslove’s eyes. Emaciated and tragic with gold hooped earrings and a trace, he thought, of a West Midlands accent. But for the accent he would have been in love with her. She didn’t tell him anything he didn’t already know. Someone, some­thing, was in store for him. Something of more moment than a mishap. He was framed for calamity and sadness but was always somewhere else when either struck. Once, a tree fell and crushed a person walk­ing just a half a yard behind him. Treslove heard the cry and wondered whether it was his own. He missed a berserk gunman on the London Underground by the length of a single carriage. He wasn’t even inter­viewed by the police. And a girl he had loved with a schoolboy’s hopeless longing – the daughter of one of his father’s friends, an angel with skin as fine as late-summer rose petals and eyes that seemed forever wet – died of leukaemia in her fourteenth year while Treslove was in Barcelona having his fortune told. His family did not call him back for her final hours or even for the funeral. They did not want to spoil his holiday, they told him, but the truth was they did not trust his fortitude. People who knew Treslove thought twice about inviting him to a deathbed or a burial. So life was still all his to lose. He was, at forty-nine, in good physical shape, had not suffered a bruise since falling against his mother’s knee in infancy, and was yet to be made a widower. To his knowledge, not a woman he had loved or known sexually had died, few having stayed long enough with him anyway for their dying to make a moving finale to anything that could be called a grand affair. It gave him a preternaturally youthful look – this unconsummated expectation of tragic event. The look which people born again into their faith some­times acquire. Excerpted from The Finkler Question by Howard Jacobson Copyright 2010 by Howard Jacobson. Excerpted by permission of Bloomsbury USA.